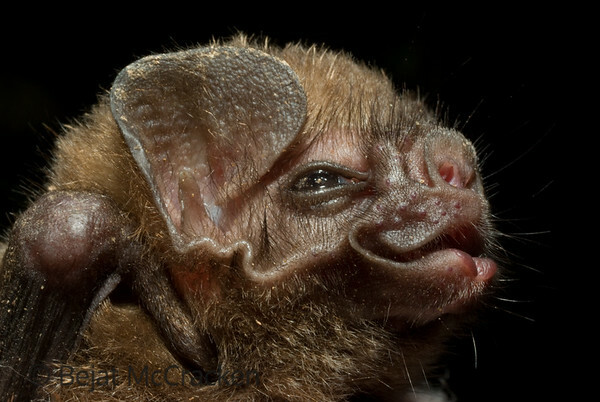 Vampire bat, Vampyrum spectrum, was caught in a net by a researcher at the Tiputini Biodiversity Station while visiting a clay lick. Creepy bat! Some clarification though: the bat pictured here is indeed a vampire, but you got the wrong scientific name: it is Desmodus rotundus.